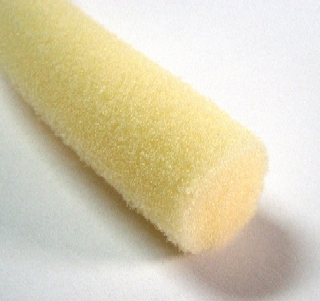 PRODUCT: 3/8" DIAMETER FOAM BACKER ROD, OPEN CELL, YELLOW COLOR. MEETS ASTM D5249, C1330 D1056. 200 FEET/BAG. PRICE/BAG. (UPS shipment only). 3/8 inch Diameter Poly Backer Rod, Closed Cell, 2100 feet/ Carton. Price/Carton. (UPS shipment only; color could be gray or charcoal and is NOT selectable).